Golden Boy’s Eric Gomez spoke with RingTV.com today, the subject of conversation being the plans for Mexican superstar Canelo Alvarez’s next move. 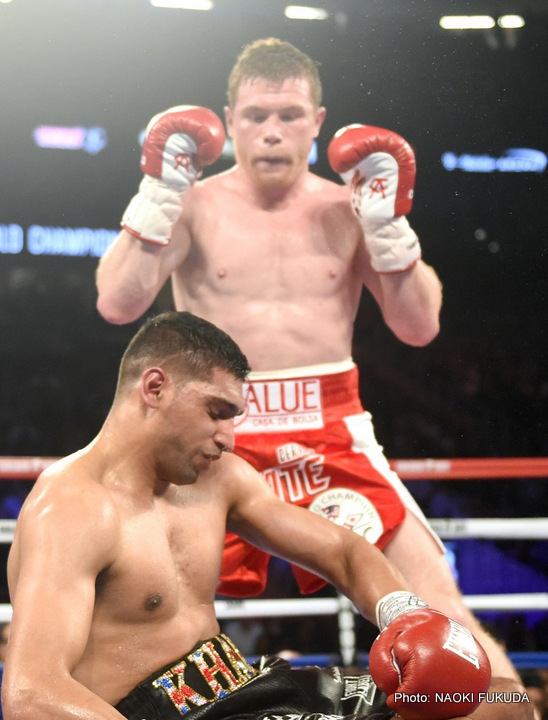 As Alvarez continues to heal – he fractured his right hand during his September win over Liam Smith – he also looks forward to his next fight. Gomez says Alvarez will not vacate the WBO 154-pound belt he won from Smith, as his next fight could be a defence of the strap. That’s if Canelo is fit and ready to fight in the first quarter of next year; if not then Alvarez will return to action in May – at middleweight. Gomez also said that the ultimate plan remains the same: for Canelo to fight middleweight ruler Gennady Golovkin in September of 2017. Golovkin-Alvarez is the fight all of boxing wants, and has wanted for quite some time. But before the planned date of the super-fight will come one or maybe two prior fights for Alvarez. There is no word on who Alvarez would defend his 154-pound belt against if he does stick around at that weight but two names have been mentioned as possibilities for Canelo’s middleweight debut: reigning WBO champ Billy Joe Saunders and former IBF middleweight ruler David Lemieux. Either opponent would make for an interesting fight for Canelo’s 160-pound debut but he would be heavily favoured to defeat either. And then, here’s hoping Canelo moves into that September sizzler with Triple-G. Fight fans, and the two fighters themselves, have waited long enough for this can’t-miss classic already.